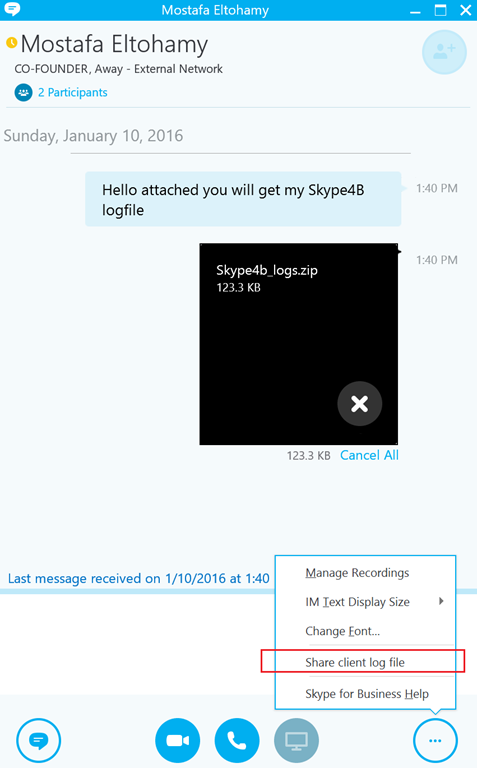 this new version of the program, as I already mentioned will check if the logging is enabled, then collect the sip-stack log files located under a hidden location not easy to find for non-technical users then copy it to a temp folder , zip it and then share it with the Lync / Skype for business contact using the built-in File Share feature of Lync / Skype for business server. Install.ps1 : A PowerShell script that will install the Registry key needed for the program to be integrated into the Lync or Skype for Business command menu. 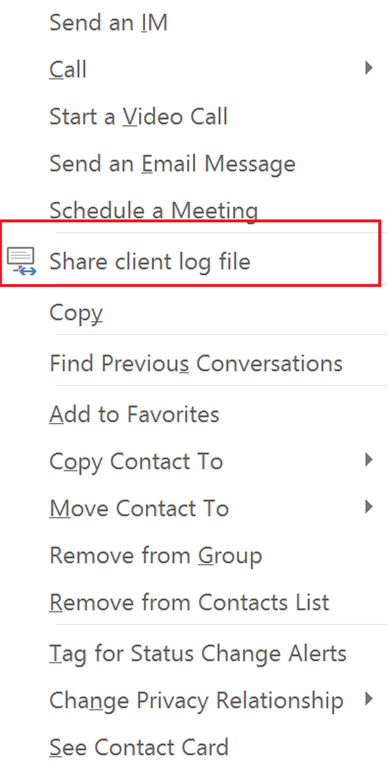 using GPO or SCCM whatever you prefer, run the PowerShell script once on your user’s machines, it will add some registry keys that will make the “Share Log files” option available in the command menu of the clients. -ApplicationPath: must be the path of the program (Same as before) but without the extra text in the end. that’s it, simple and easy 🙂 and I hope it will help more administrators.